* Indicates Professional charges. Government and Incidental expenses, as applicable, will be additional. Limited Liability Partnership has been introduced in India by way of Limited Liability Partnership Act, 2008. The basic idea behind the introduction of Limited Liability Partnership (LLP) is to provide a form of business organization that is simple to maintain while at the same time providing limited liability to the owners. A Limited Liability Partnership combines the advantages of both the Company and Partnership into a single form of organization and one partner is not responsible or liable for another partner's misconduct or negligence. Therefore, all partners have a form of limited liability for each individual's protection within the partnership, similar to that of the shareholders of a corporation. However, unlike corporate shareholders, the partners have the right to manage the business directly. An LLP also limits the personal liability of a partner for the errors, omissions, incompetence, or negligence of the LLP's employees or other agents. LLP is one of the easiest form of business to incorporate and manage. In a General Partnership, partners are personally liable for all this debt. So if it cannot be repaid by the business, the partners would have to sell their personal possessions to do so. In an LLP, only the amount invested in starting the business would be lost; all personal property would be safe. The ownership of a LLP can be easily transferred to another person by inducting them as a Designated Partner of the LLP. LLP is a separate legal entity separate from its Managing Partners, so by changing the Managing Partners, the ownership of the LLP can be changed. An LLP only requires audited annual returns to be filed if its turnover exceeds Rs. 40 lakh or capital contribution exceeds Rs. 25 lakh. LLP Registration Procedure is very simple, if you prompt with your all Documents, this process can be completed in 15 to 20 working days, subject to legal processing time. Digital Signature Certificate (DSC) and Designated Partner Identification Number (DPIN) are required to obtain for all the Proposed Partners. You will need to provide required scanned documents, within a day you will get your DSC and DPIN. Every LLP needs a registered Permanent Account Number (PAN) and Tax Account Number (TAN). We will make the application online ourselves; you need to provide the all required Documents. The PAN and TAN will be couriered to your registered office address in 21 working days. How many partners are permissible in LLP? A minimum of 2 partners there is no maximum number of shareholders. What is the capital required to start a LLP? You can start a Limited Liability Partnership with any amount of capital. There is no requirement to show proof of capital invested during the incorporation process. Partner's contribution may consist of both tangible and/or intangible property and any other benefit to the LLP. What are the requirements to be partner in LLP? What are the annual compliance requirements of a LLP? LLP's are required to file an annual return with the Registrar each year. However, if the LLP has a turnover of less than Rs.40 lakhs and/or has a capital contribution of less than Rs.25 lakhs, the financial statements do not have to be audited. Is an office required for starting a LLP? Can existing partnership firm or company be converted to LLP? 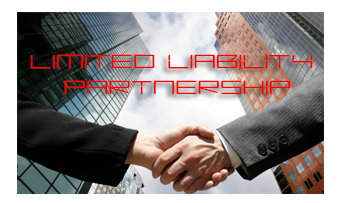 Yes, an existing partnership firm or a company that is unlisted can be converted into LLP. There are many advantages of converting a partnership firm into a LLP; however, the same doesn't apply for the conversion of a Company to a LLP. What are the documents required for Incorporation of a LLP? Identity and address proof of individuals/body corporate, registered office address proof, non-objection certificate from their landlord are required for incorporating LLP office in his/her premises and must submit landlord’s identity and address proof.